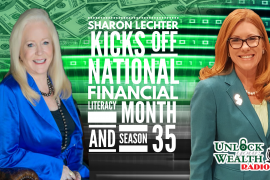 Morgana Rae, International best-selling author of Financial Alchemy: Twelve Months of Magic and Manifestation, joins Heather Wagenhals, Executive Producer and host of UnlockYourWealthRadio.com to Libsyn’s Popular Money Show and Season 19 Running with Scissors this Friday, April 18th at 9:00AM (PST). 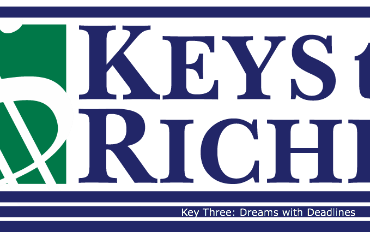 As a sought after teacher, speaker and pioneer in personal development, Morgana is widely regarded to be the world’s leading Relationship with Money coach. 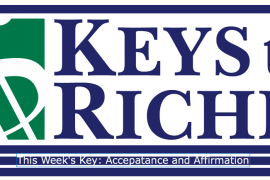 Listen to the personal finance radio show every week, which specializes in a unique brand of financial literacy. 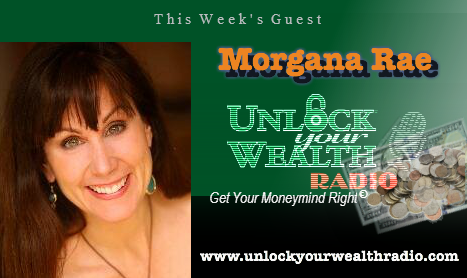 In the interview below you will receive answers that will uncover your hidden blocks to financial abundance as Morgana reveals how to create new, money magnetic relationships in her six steps to turn your personal Money Monster of scarcity into a Money Honey of abundance.